Being slimmer could be as simple as waking up early for some morning sunshine, US researchers suggested on Wednesday. A small study of 54 volunteers showed that the leanest ones did not necessarily eat better or exercise more than the rest. They simply were exposed to more bright daylight earlier in the day. The findings by Northwestern University researchers are published in the journal PLOS ONE. "The earlier this light exposure occurred during the day, the lower individuals' body mass index," said co-lead author Kathryn Reid, research associate professor of neurology at Northwestern University Feinberg School of Medicine. Participants' average age was 30. They wore wrist monitors to measure their light exposure and sleep cycles, and kept food logs for the duration of the seven-day study. 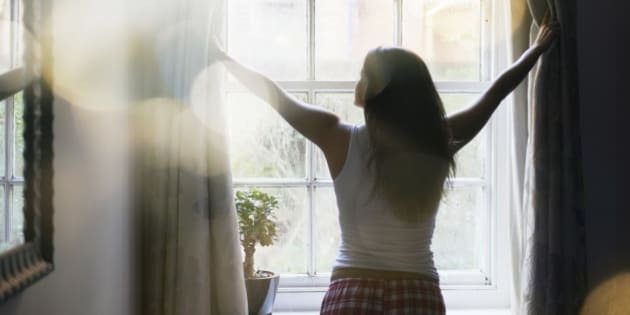 Morning light was found to have an influence on body mass, regardless of a person's physical activity level, caloric intake, sleep timing, age or the season. The study found morning light accounted for about 20 per cent of a person's body mass index (BMI). "Light is the most potent agent to synchronize your internal body clock that regulates circadian rhythms, which in turn also regulate energy balance," said study senior author Phyllis Zee. "The message is that you should get more bright light between 8 a.m. and noon," she added. As little as 20 to 30 minutes could be enough to affect BMI, the study said.